Remember this summer, when Donald Trump was forced to find himself yet another new campaign manager after Paul Manafort caught taking millions of dollars in payouts from the Kremlin? It’s a development which was largely forgotten about by the public, after the media moved onto new narratives toward the end of the campaign. But now that we know the CIA concluded Russia rigged the election in Trump’s favor, the Manafort story comes front and center again. In fact, Manafort somehow knew enough to tell Trump to go spend time in the unlikely state of Michigan just days before the election. The Michigan tidbit, which you can find casually buried in the twenty-first paragraph of this Bloomberg article, went largely unnoticed when it was reported two weeks ago but should have set all off all kinds of sirens. Based on demographics, Michigan should have been an automatic win for Hillary Clinton, and every poll confirmed as much. When Trump headed there near the end of his campaign, it made no sense at all. His internal polls could not have told him that had a shot of winning there, because they would’t have been that far off from public polling. Nor could Trump have believed that making a token visit to Michigan at the very end would have any chance of putting him over the top in the state. Some have speculated that he knew he was going to “win” Michigan because it was going to be rigged for him, and that he only campaigned there near the end so that his shocking victory there would seem more believable. 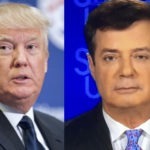 And now we know that it was Paul Manafort, who according to that same Bloomberg article was paid more than twelve million dollars in secret cash by Kremlin puppet Viktor Yanukovych, who somehow knew enough to tell Donald Trump to go put on a good show in Michigan in those final days. What did Manafort know that no one else did? Had the Russians told Manafort to tell Trump to head to Michigan because that’s the state whose election results they were planning to hack? With the Michigan recount now in legal limbo, we may never get those answers. What does stand out is the extent to which Michigan’s Republican officials have gone to try to prevent a full recount from happening. Do they already know, based on their own internal findings, that the vote totals were in fact hacked in Trump’s favor? Are they afraid Trump’s victory will be erased, taking the White House away from the Republican Party? And just where is Manafort at this point? All we have for now are a growing number of questions and a lack of clear answers.